Maya Manion grew up in Vermont but moved to Rhode Island to break into show business. 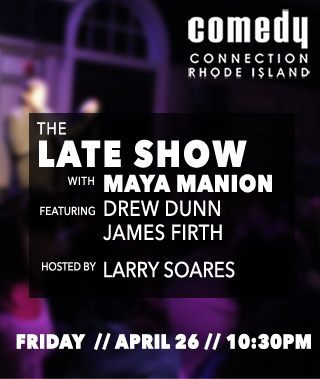 Maya was featured on Nick at Night's Funniest Mom in America and recently was runner up in Mohegan Sun's Funniest Comic in New England. Maya travels as far as she can go in a night to perform, because no one will watch her kids for longer than that.